Max Ritvo Dies At 25 The Los Angeles native was diagnosed at 16 with Ewing's sarcoma, a rare cancer that affects bones and soft tissue in children. He gained wide recognition for his works on fighting the illness. 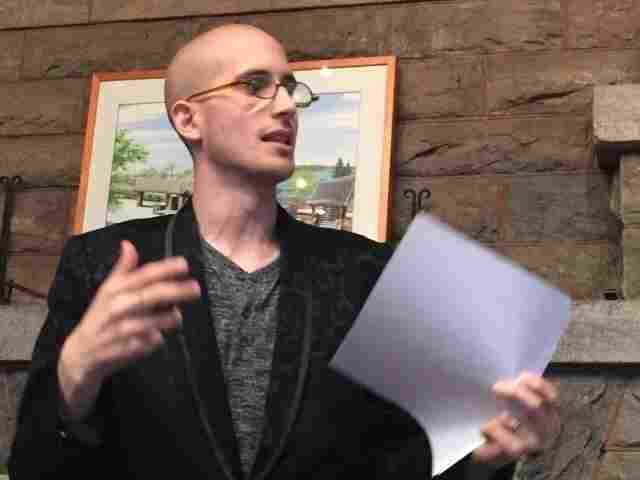 Poet Max Ritvo who chronicled his long battle with cancer has died. He was 25. Max Ritvo, a poet who chronicled his long battle with cancer in works that were both humorous and searing, has died. He was 25. In radio and podcast interviews, Ritvo spoke about his suffering. But he rejected any idea that he was a victim of the disease - especially a heroic one. Ritvo was writing until several days before his death and had told his family that the end would be near when he was no longer able to write. The day before his death, he told his mother and wife: "I can't write anymore, I can't speak, I can't breathe ... I'm not me ... You guys have to be OK with me going," his mother said.